To overcome cost, accessibility, and compliance challenges, governments are turning to data. They are modernizing and consolidating their data management and governance, and are using data to support evidence-based decision-making. Unfortunately, there are many technical challenges to cleansing, consolidating, and mining data that resides in operational, legacy, packaged, or homegrown systems for actionable insights. 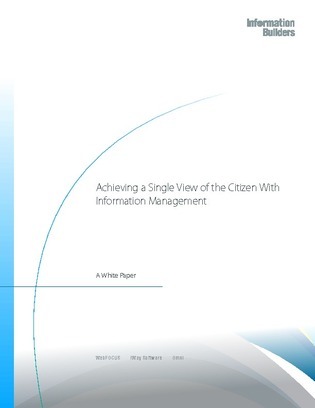 Access this resource now and learn how they synchronized, consolidated, and shared vital citizen data.